Endorsed by OCR, this book comprehensively covers all the Assignment units and also includes information related to the Solutions units and the Microsoft Office Specialist units in Level 2 CLAIT Plus. Step by step, it explains and illustrates all the procedures required to understand and achieve the assessment objectives for the units. 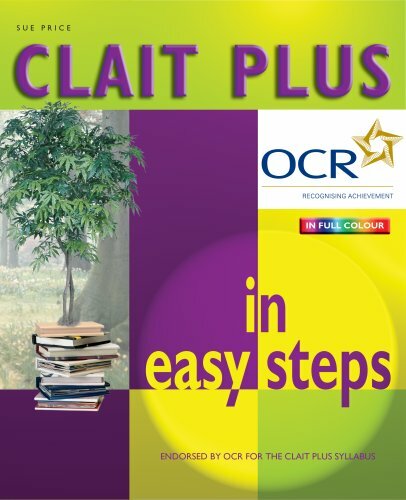 CLAIT Plus In Easy Steps is an essential aid for anyone wanting to become more proficient in using computers, even if you're not intending to take the CLAIT Plus certification exams. With this book, learn how to use and manage Windows and Office applications more effectively, with detailed instructions, hints and prompts to guide you. Master the features of word processing, e-mail and the Internet, spreadsheets, databases, desktop publishing, graphs and charts, computer art, digital imaging and presentation graphics. For each of the nine Assignment units, there is a complete downloadable exercise built along the lines of the CLAIT Plus assessment tests, with checklists and worked answers to help you validate your results. The book also covers the seven project-based Solutions units, and the five MOS-based Microsoft Office Specialist units, identifying the differences between these and the Assignment units, and providing background information to help you decide which route, or combination of routes would serve you best. 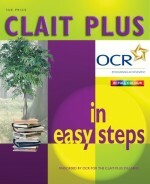 CLAIT Plus in easy steps is designed to act as a self-study aid, and it may also be used by tutors in the classroom for courses or workshops. 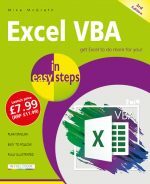 The book assumes the use of the Office XP applications and Internet Explorer browser, plus the digital imaging applications Paint Shop Pro and Animation Shop, and it also discusses the Macromedia Flash and Dreamweaver applications, and reviews Adobe Photoshop. Sue Price has been teaching adult education classes for the past fifteen years. She has taught a wide variety of computing classes in addition to CLAIT courses, to students of all ages, and fully understands the needs of newcomers to computing and of those who wish to develop their IT skills and experience. "Well, it has been a long time coming, but I am glad to say it has been worth the wait. This book covers all nine assignment units in CLAIT Plus, with Sue Price's usual attention to detail. Each unit follows through the stages of a CLAIT style exercise, and the individual exercises (with example answers) can be downloaded from the In Easy Steps web site. I particularly liked the treatment of the Computer Art topic, which uses Paint Shop Pro and Animation Shop. For the Electronic Communications topic, you can request an email with attachments to kick-start the exercise. I was also pleased to see chapters on the solutions units and the Microsoft office specialist units, which give good insight into these alternative routes. And it's arrived just in time for the start of the new term!"